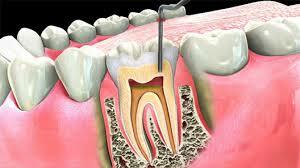 One of the most troublesome conditions to ail your mouth is a dental fistula. If the thought of gums swelling or bleeding causes you to cringe, the fistulas will definitely send you packing. Though it is termed as a chronic condition, a fistula is not in fact a disease, but rather something that develops due to an infection of the periapical or a dentoalveolar abscess. Though they do not develop on their own, fistulas are considered to be chronic, because if they are left untreated or Dental Fistulasignored, they can lead to quite a troubling case. The treatment plan for a fistula involves not just getting rid of it alone, but tackling the root cause of it as well. If you are having trouble visualizing what a fistula looks like, think of it as a pimple that rests on your gums. Not only does it look like one, but is also as irritating and troublesome. Unlike pimples however, the fistula does not take care of itself and disappear over time. The pus inside the fistula points to a serious infection and that is why professional care is extremely important, before it starts spreading. © ARCA Dental Pvt. Ltd.